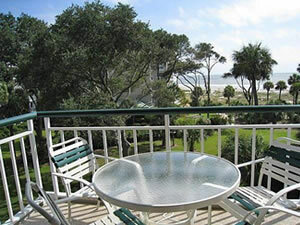 Hilton Head Island Vacation Rentals | Find and Book Your Vacation Home, Beachfront Rental, Villas, Condos and Places to Rent on Hilton Head Island, SC. 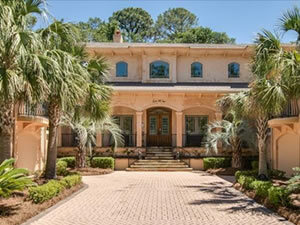 Find and Book Your Vacation Home, Beachfront Rental, Villas, Condos and Places to Rent on Hilton Head Island, SC. 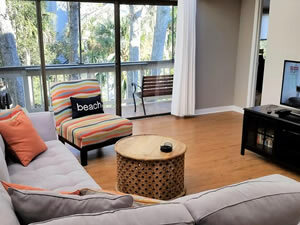 Vacation rentals on Hilton Head Island include secluded villas situated among Southern pine forests, beachfront cottages, luxury vacation homes, and condos and apartments for rent. Picturesque settings and natural surroundings abound, from Harbour Town lodging to the secluded Shipyard area, friendly Forest Beach, and luxurious townhouses and villas along the Atlantic ocean or golf course fairways. All residential developments are environmentally planned and designed to fit so well into the natural landscape, with a maximum of 3-4 stories rise so there are no towering condo-complexes to dominate the scenery. 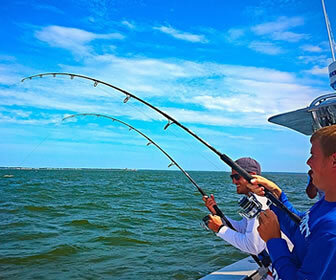 If you can't find the vacation property you're looking for here, please visit our comprehensive directory of Hilton Head rental companies and resorts. 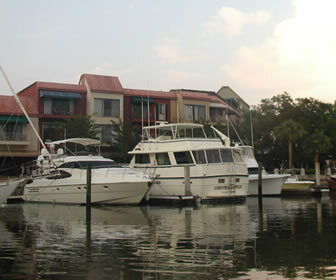 Sea Pines was the first resort developed on Hilton Head, located on the southern end of the island. A place of natural wonder and immense beauty, Sea Pines is home to five miles of wide, sandy beach, colorful villages and marina, championship golf, and smashing tennis. Consistently rated a top tennis and golf resort, Sea Pines has multiple tennis courts, and its junior instructional programs accept children as young as four. 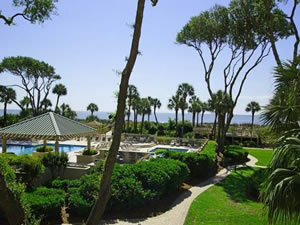 The Hilton Head resort's 4,500 acres also hold three golf courses and a Golf Academy, stables, and shopping plazas. 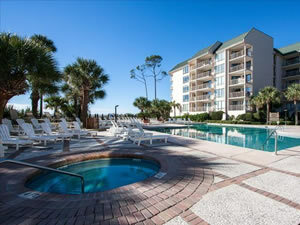 All vacation rental reservations are guaranteed through Booking.com which offers Book Now, Pay Later convenience and Price Matching service so you know you're getting the best deal at the best price. The Booking.com reservation system gathers the best deals from hundreds of local properties and makes them available to you all in one spot, saving you time and money. This villa has a fully equipped kitchen, satellite TV, living room and an outdoor pool. The villa is equipped with air conditioning and free WiFi. Free private parking is available on site. There is a dining area and a kitchen complete with a dishwasher and an oven. A flat-screen TV is available. Other facilities include a spa bath in the master bathroom. 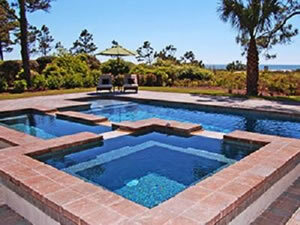 Guests have access to 2 pools, a hot tub, spa, and barbecue facilities during their stay. 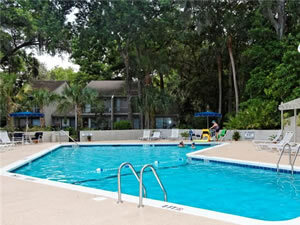 A children's pool and playground are also available. 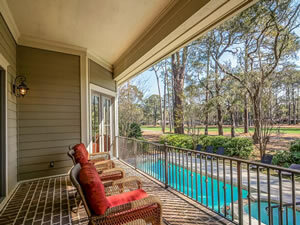 Located near 3 9-hole golf courses, this 2-story townhouse features free WiFi and free private parking. Guests have access to the outdoor community swimming pool. The unit offers 2 bedrooms, 2 and a half bathrooms and a patio. A washing machine, dryer and fully-equipped kitchen are available. Flat-screen TVs and DVD players are featured. Located wthin a 5-minute walk of the beach, this air-conditioned pet-friendly apartment features free WiFi and free private parking. A gas grill is available. 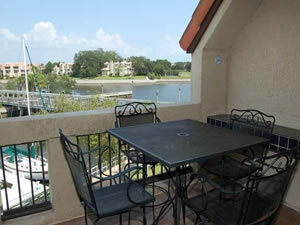 The unit with resort views has 3 bedrooms, 3 and a half bathrooms, a screened porch and a deck. There is a seating area and a kitchen complete with a dishwasher and an oven. Flat-screen TVs with cable channels and DVD players are provided. Guests can access the outdoor swimming pool. There is a dining area and a kitchen as well as a private bathroom. A flat-screen TV with cable channels is available. The villa features free WiFi throughout the property. 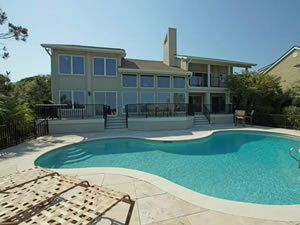 This property has communal pool, communal hot tub, children's pool, balcony and grill access. The master bedroom has a jetted bathtub as well. Free private parking is available on site. Within a 5-minute walk of the beach, this air-conditioned villa features free WiFi and free private parking. The unit has 2 bedrooms and 2 and a half bathrooms. A full kitchen, washing machine and dryer are provided, as is a balcony. Flat-screen TVs, DVD players and Blu-Ray are featured. 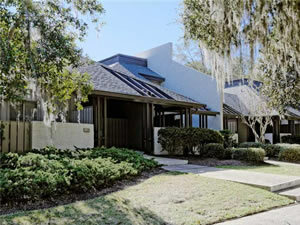 A shared pool and tennis court are accessible and a golf course and mini golf course are located nearby. Treetops has a balcony and garden views. Guests staying at this villa can use the free WiFi and a fully equipped kitchen. The villa has 2 bedrooms and 2 bathrooms with a bath. A flat-screen TV with cable channels and a DVD player are offered. The villa has an outdoor pool. 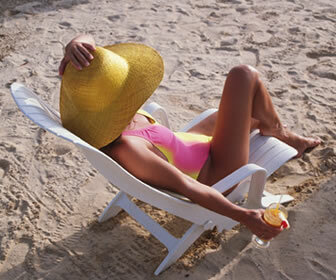 Guests at Treetops can enjoy tennis on site, or go snorkeling or diving in the surrounding areas. 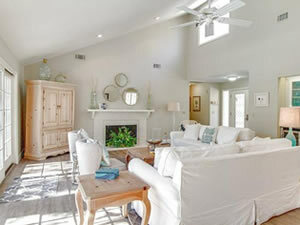 This villa features a private pool and free WiFi and fully equipped kitchen. With 1 bedroom and 1 bathroom with a bath or shower, this villa comes with a cable flat-screen TV and DVD player. This 2-bedroom villa comes with a seating area, balcony, a satellite TV and a kitchen with a dishwasher. Cycling can be enjoyed nearby. 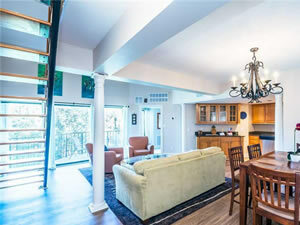 This 2-bedroom condo provides free WiFi and private parking available on site. The kitchen has a dishwasher and an oven. Flat-screen TVs with cable channels and DVD are provided. 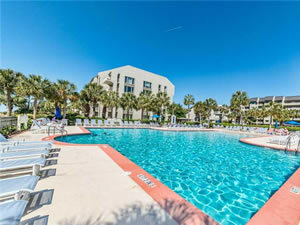 Other facilities include a hot tub, outdoor pool, laundry facilities and patio. 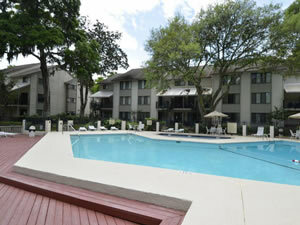 Guests can enjoy the outdoor pool and barbecue grill. Free WiFi and free parking are available. The kitchen has a dishwasher, an oven and a microwave, as well as a coffee machine. A flat-screen TV with cable channels and DVD player is featured. There is a private bathroom with a bath or shower. This holiday home features 3 separate bedrooms, private pool and patio and includes a kitchen with a dishwasher and a dining area. The holiday home also comes with 3 bathrooms with a bath or shower and a washing machine. This 4-bedroom vacation home features air-conditioned accommodations with a private pool, pool view and a balcony, fully equipped kitchen and a patio, satellite TV, and a grill. 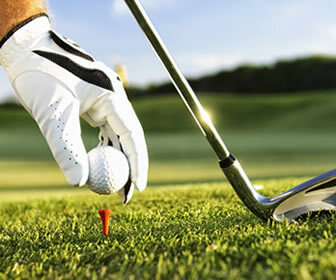 A terrace is available on site and both golfing and cycling can be enjoyed within close proximity of the property. This vacation home includes 6 bedrooms and a kitchen with a dishwasher and a coffee machine. A flat-screen TV with cable channels is available, as well as a sauna, private pool on site, and golfing in the surrounding areas.